We have a new feature on the blog and I hope you like it. I am a HUGE fan of quotes. I just find them to be fabulous, and they can really get you through a difficult day. I have a Pinterest board dedicated to quotes, and you can check that out HERE, if you wish. I love to print them out and display in my home in various rooms, and at my desk at work. I find they really make you think, and are so uplifting to the thoughts in your head. When we read about positive things, we look at life in a more positive way. 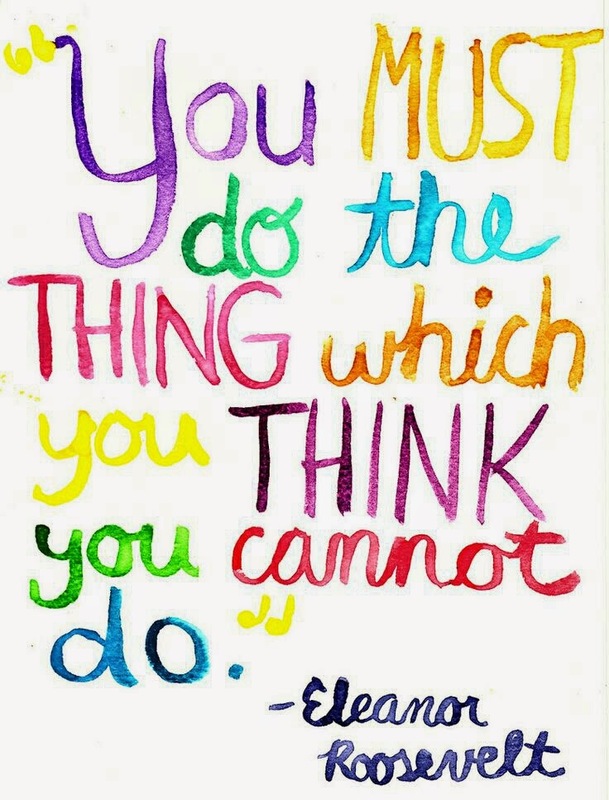 Eleanor Roosevelt has some of the BEST quotes, and this first one for the feature is one of my faves! Hope your Tuesday is a most amazing one! !